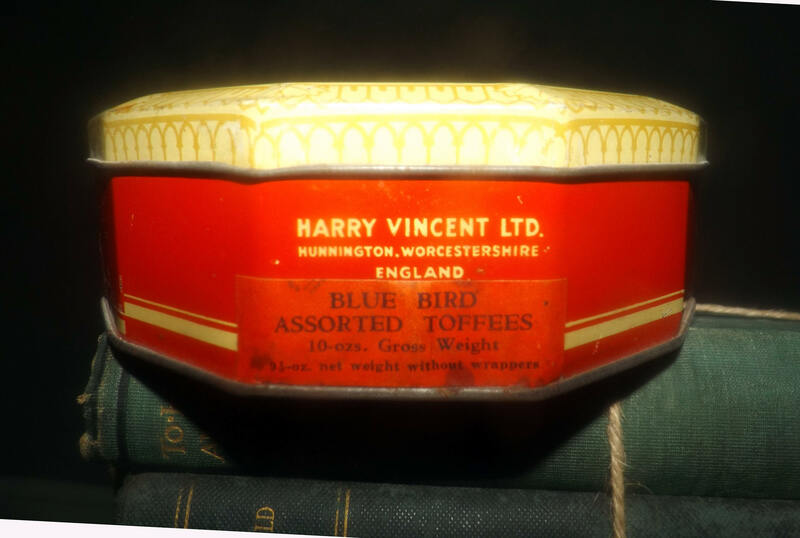 Vintage (1939) Blue Bird Assorted Toffees | Harry Vincent England commemorative tin. 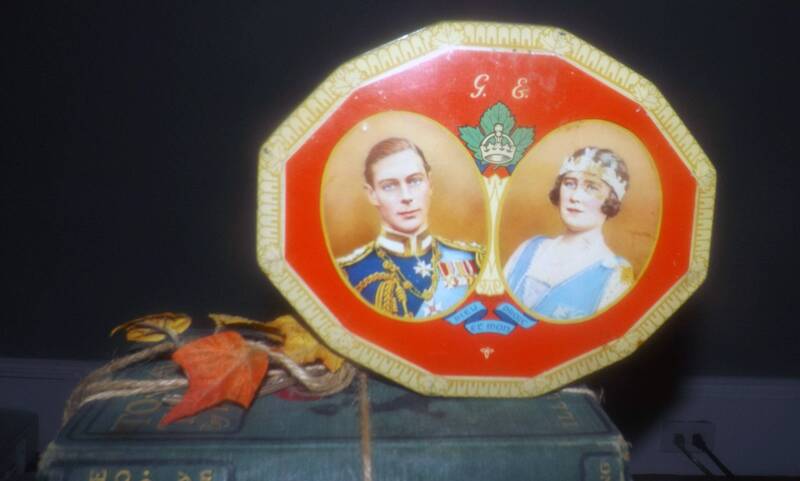 HRH King George VI and Queen Elizabeth NA visit. 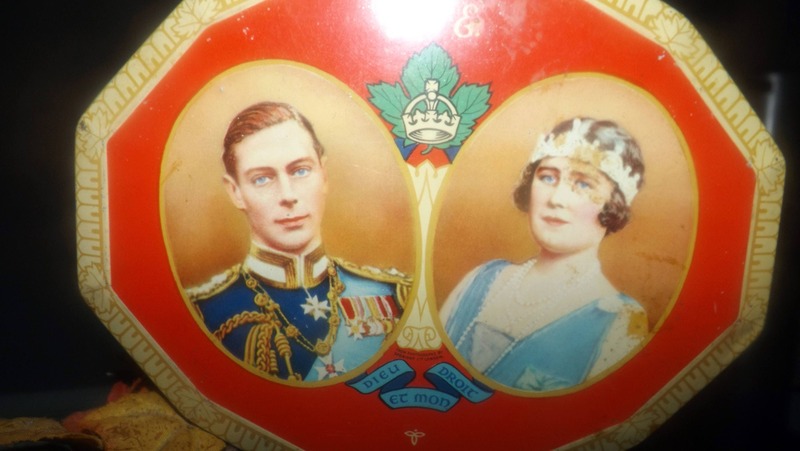 Quite vintage (1939) Blue Bird Assorted Toffees | Harry Vincent Ltd. Confectioner commemorative tin featuring a young King George VI and Queen Elizabeth. 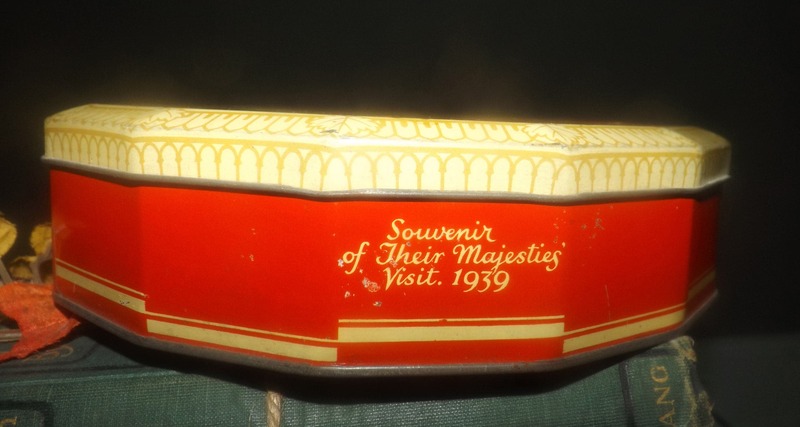 This tin was produced to celebrate the Royal Tour of Canada and the United States in the summer of 1939. Historically significant, this tour represented the only occasion on which the Royal couple visited the USA and met with then President Franklin Roosevelt. This was the first-ever of a reigning British monarch to the United States. In EXCELLENT! condition with NO! dints or dings to the metal and NO! 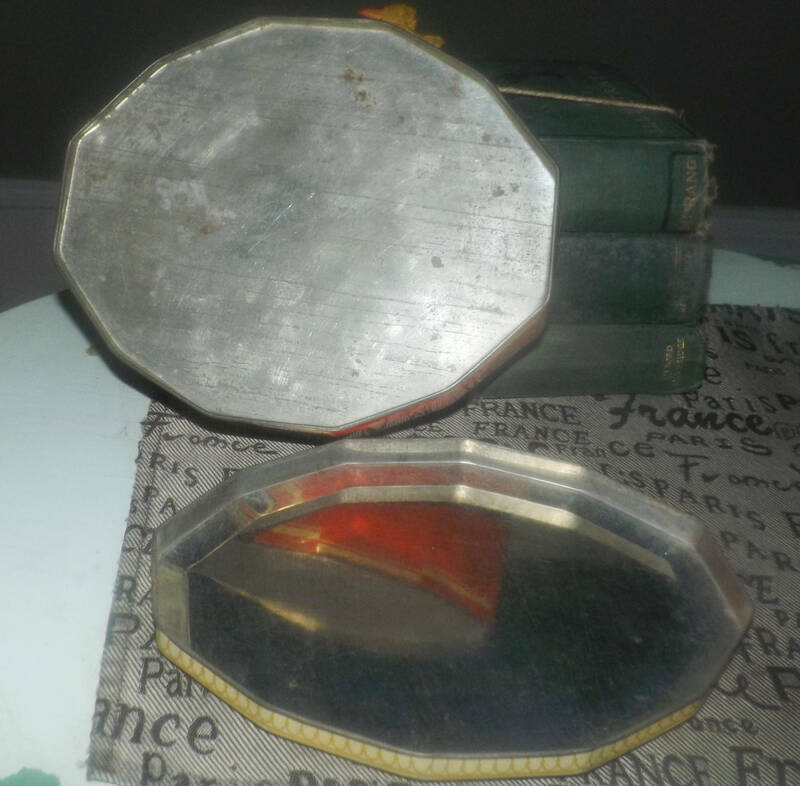 rust to the lid, sides or interior of the tin. 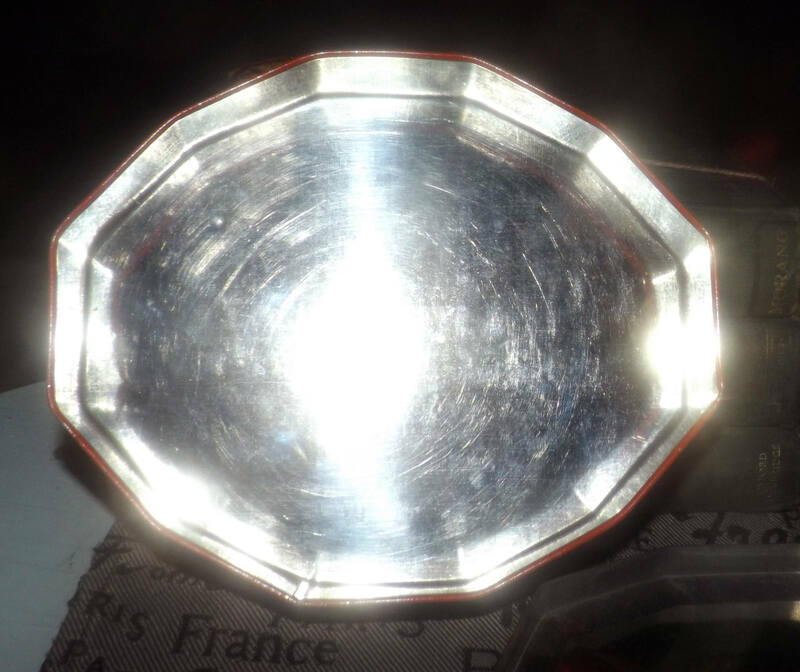 There is rusting and scratching to the BASE | REVERSE of the tin (please review each of the posted photos for a complete visual of the item). 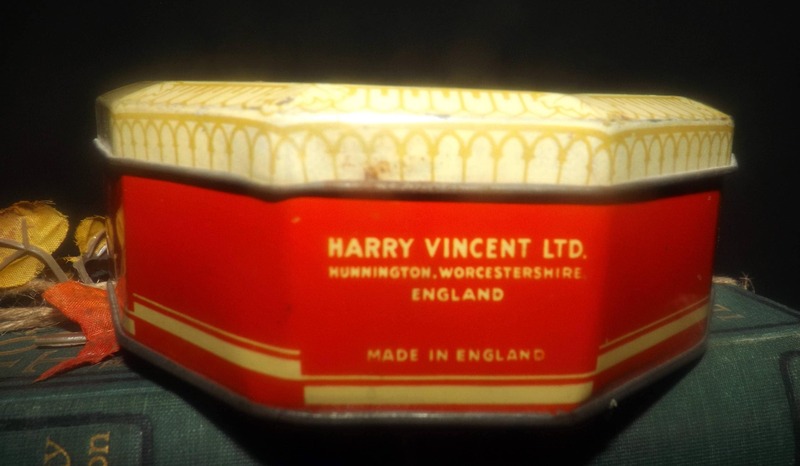 Tin still bears the Harry Vincent Blue Bird Assorted Toffees labeling. 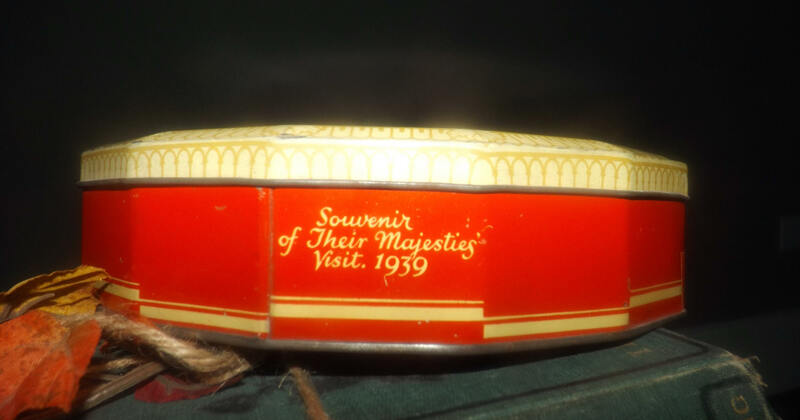 The side panels of the tin read "Souvenir of Their Majesties' Visit 1939" in gold scripted typeface. There are some LIGHT! scratches here and there and a few blemishes to the text and imagery. Overall, this tin is in FABULOUS! condition for its age. Approximate measurements: 8-1/4" x 7" x 3" in depth with a multi-sided or octagonal shape.